MyPartTimeCash: Can It Help You Make Part Time Cash? When I first came across MyPartTimeCash.com, I knew almost immediately that it looked strangely familiar to me. I started to search for more info on MyPartTimeCash when I came across this posting on a forum I had never visited before. After further looking for more info I found exactly where I had come across this site before…right on my own site. So, what did I find on MyPartTimeCash? Let’s find out! MyPartTimeCash.com is a website only that claims it can help anybody who wishes to make real money online with almost no work involved for only a few hours per week. 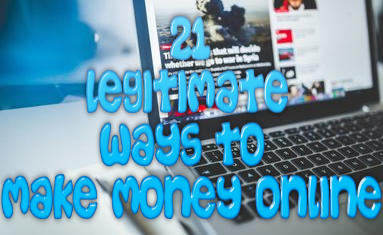 According to the site itself members are able to earn quick cash for completing a few tasks like spreading affiliate links around. Any time those links are clicked on you supposedly “earn” $10. I know what you must be thinking: this must be the best program and online opportunity in the world. Yeah…it isn’t and I will tell you why below. 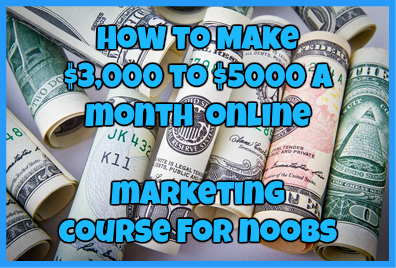 You are guaranteed to make at least $1,500 a week or possibly more. How Do I Know MyPartTimeCash.com Is A Scam? What is not surprising to me is that MyPartTimeCash.com looks damn near IDENTICAL to two other known scam sites: GetPaid4Duty.com and PayTaski.com. Want to know how identical these sites look to one another? Just check out the pictures below! According to the research that I have done, MyPartTimeCash.com, along with GetPaid4Duty.com and PayTaski.com are small sites that offer the exact same opportunity. However, due to numerous complaints from actual users who have not received payment, the owner of these sites has been forced to change the domain names of these sites every few weeks. On top of that, with so many complaints coming from MyPartTimeCash.com of non payment by members, the owner has changed the domain to PayForYouth.com…another scam that looks similar to this one. When it comes to learning if an opportunity is a scam or not, it is important that you check every detail exactly, all the way down to spelling errors. Most online scams today are covered in grammatical errors an misspellings. Most legit affiliate sites double check their posts and pages to ensure every word is spelled correctly. If you come across what appears to be a highly lucrative opportunity that is riddled with grammatical errors, 99% of the time that opportunity is a scam. There are numerous people who have complained about not receiving the money they are owed from MyPartTimeCash. Just take a look below at what some people are saying about this fake opportunity. I know a scam when I see one and I can tell you with complete faith that MyPartTimeCash.com is a straight up scam. You will not get paid for your efforts and all that you will end up with is lost time when you could have been making legit money online. Have you been scammed by MyPartTimeCash.com? If so, I would love to hear about your experience! Just drop me a detailed comment below! ← Paid Social Media Jobs Review: Can You Get $$$ By Being Social? Paidverts Review: Can You Get Paid For Viewing Ads? PayForYouth.com Review: Here Comes Another Scam! Start-Quiz.com Review: Don’t Expect To Make $$ For Your Opinion! Thereferal.com looks exactly like my part time cash.com down to the wording of everything the only difference is the name and went to go back on later tonight and it said changed domain name but they wouldn’t pay us like we were supposed to be. If both sites are identical to each other except for the name of the domain…then it is a scam site so I would use caution when using it.